The Royal School of Needlework (RSN) teaches hand embroidery to the highest standard and is well respected all over the world. It not only upholds the traditions of English embroidery that go back many hundreds of years, but is constantly taking embroidery forwards in new and innovative ways. This series of Essential Stitch Guides has been produced in close collaboration with the RSN with the aim of providing a set of definitive works on traditional embroidery techniques. All of the authors were chosen by the RSN and all are graduate apprentices of the Royal School. Shelley Cox presents an expert guide to all aspects of bead embroidery, including information on counted thread beadwork, bead embroidery, beaded surface embroidery, and fringing. Here you will find stitches and technique for every sort of needlework that involves beads. 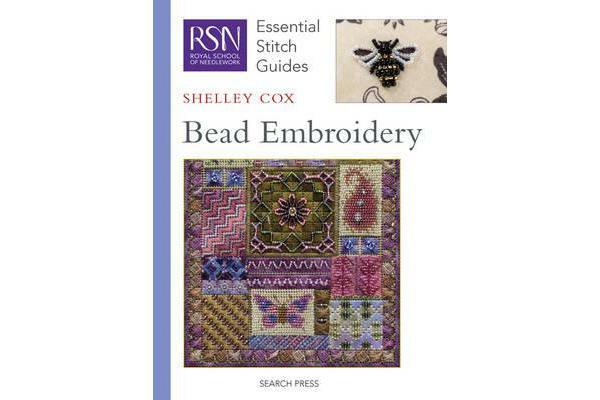 Decorative effects are explored too, making this a fantastic source book and an invaluable reference for beadwork.